Childhood Allergies – Part 11 – Now What? If you’ve followed this series, you now know some of the reasons for the rise in childhood allergies. How can you use this knowledge? There’s a lot to digest in this post, and I don’t want anyone to think that they have to change all at once. See what resonates with you and consider making a few changes. Over time, you can make further adjustments. You may have heard this one stated differently, as in the “Don’t eat anything your grandmother didn’t eat.” The problem with that is grandmothers are getting younger all the time. My grandmother passed away in 1967. Following her way of eating is probably a good idea. She owned a farm, raised her own chickens, baked everything from scratch, and even canned some of the best green beans I have ever tasted! She probably never talked about organic farming, but I’m pretty sure that’s the only kind of farming she did! On the other hand, I’m technically old enough to be a grandmother (although I’m not). Many in my generation grew up eating fast food and processed foods. We’re the group that ushered in what used to be called TV dinners. They were the precursors of the frozen, microwave-ready meals you can buy today. SO, here’s my new rule: Eat like they did before 1960! No, you don’t have to grow your own food. Just get closer to real foods and less of the foods with ingredients you don’t recognize. The Non-GMO Project monitors products and has a Verified Non-GMO Seal. Buying foods with that seal will ensure you are buying non-GMO foods. Another way to ensure you are buying non-GMO foods is to buy organic. Foods that are certified organic must be non-GMO. Consider organic, at least, for those foods most at risk of being GMO. See the Non-GMO Project’s List. GMOs are in an estimated 60-70% (some reports even say 80%!) of all processed foods. Their ingredients include hidden allergens described with names you don’t recognize. They are often sources of excess calories, fats, and sugars. Many processed foods have MSG in them. They contain various food dyes that can cause allergic reactions. Some of the additives are made from petroleum products. More and more doctors are testing for vitamin D levels in blood and are recommending Vitamin D-3 supplements. As far as sun exposure, it’s another example of everything in moderation. We tend to go to extremes one way or the other. Estimates suggest that 15-30 minutes in the sun will increase your Vitamin D levels. Alternatively, you can take supplemental Vitamin D; Vitamin D-3 is recommended. This can go a long way to improving allergies. Seek out more eco-friendly products. Eliminate all those air fresheners – whether they are sprays, candles or plugins. There are safer ways to freshen the air. Ways that don’t decrease indoor air quality. I’m not advocating no bathing. I am advocating that we lose our germophobia! Rely less on those hand sanitizers. They contain alcohol and most also contain perfume. Take time to wash your hands instead. And remember: Hand sanitizers will NOT remove food allergens from your hands! This is the last in a series of blog posts answering the question: “Why has there been such an astronomical rise in childhood allergies?” I would love to know your thoughts on this. And am also available to answer your questions. Childhood Allergies – Part 8 – What are GMOs? Over the past three weeks, I’ve presented a number of theories that try to explain the rise in childhood allergies – especially food allergies. We have talked about a connection between eczema and allergies, the toxins in our world, processed foods, the possibility that we are “too clean”, vitamin D and GMOs. What’s the real answer? Which theory holds the clues and possibly the solution? My take is this. There are no easy answers. Most problems aren’t just caused by a single thing. That’s especially true of the obesity issue, for example. Everything is much more complex. I believe that all of these theories play some role in the allergy issue. To different degrees. I also think it’s possible that there are other, as yet unidentified, factors. Time will tell. I do think it’s important that we be aware of the various factors that influence childhood allergies and their rise. That’s the first step towards solving the problem. Now what? What can we do with all this information? The next, and last, blog post in this series answers that question. Stay tuned, it will be published this coming Wednesday! One of the most popular theories to explain the rapid increase in food allergies is that there is a connection between GMOs and food allergies. GMO soy entered the US food supply in late 1996. The levels of trypsin inhibitor, a major soy allergen, are 27% higher in GMO soy. Before 1996, soy was NOT considered to be among the list of top allergens. Between 1997 and 2002, peanut allergies in the US doubled. And they are increasing at the rate of roughly 20% per year. The connection between GMOs and food allergies is based on circumstantial evidence. The companies creating genetically modified foods refuse to do any testing, saying their foods are safe. Testing a new food for its ability to cause an allergy is difficult and potentially dangerous. BUT, we do know that when we genetically modify a food, we are introducing new proteins into that food. Sometimes we don’t know what proteins are introduced. GMOs are just a bad idea until we have more information. The focus here is on soy because it is very common in our food supply. And so it is the most studied. It is estimated to be in at least 60 – 70% of all processed foods. In fact, by 2008, 98% of all soy in the United States was GMO soy from Monsanto. You can read more about Monsanto in this PDF from the Organic Consumers Association. * The soy-peanut connection is based on cross-reactions. Since they are both legumes, a protein in soy may look enough like a similar protein in peanuts to cause an allergy to peanuts. Next up in the series I’m going to talk about my own theory on why allergies are on the rise. Our next theory talks about GMOs (Genetically Modified Organisms). Before going into that theory, though, I want to be sure we all understand what GMOs are. Synthetic hormone replacement therapy (HRT) – Good idea or not? Years ago companies began making synthetic hormones, but they wanted to patent their products. After all, you can’t really patent something that humans can make naturally. The problem is that hormones bind to receptors on cells in a very specific manner. When you ‘tweak’ a hormone so that it is unique and patentable, you change how it impacts the body. Recombinant DNA (rDNA) – Good idea or not? I worked in biological research for about seven years after college. For one year I worked at Baylor College of Medicine in Houston studying recombinant DNA. Back then, we were splicing a bacterial gene into a human cell in culture. (It’s not as easy as it sounds, by the way.) This has implications as a means of producing items such as insulin in the laboratory. rDNA has been used for many purposes but there are issues with it. We don’t know what other genes are impacted. Also, we can wind up with bacteria that are resistant to antibiotics. Furthermore, recombining DNA isn’t always an exact science. We don’t always know what genes were added and what genes may have been destroyed in the process. 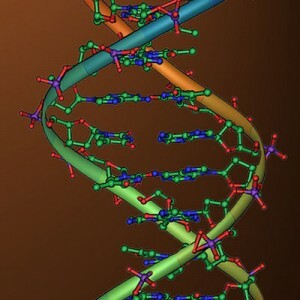 rDNA was also the precursor to GMOs. Genetically Modified Organisms (GMOs) – Good idea or not? What are GMOs? They are organisms (plants, animals, bacteria, yeasts, etc) that have been genetically engineered. What this means is that their genetic material (DNA) has been altered. Genetic engineering is done to either insert or delete specific genes. Inserted genes are typically genes from a different species. GMOs are used in medical research, biological research, pharmaceutical drop production, experimental gene therapy, and agriculture. Just like with early recombinant DNA, genetic engineering is not an exact science. When scientists insert a new gene, they cannot be sure that they have only added the one gene. Nor can they be sure what genes they have destroyed. This is a hot topic today. Companies like Monsanto, who have developed many GMOs, think they’re a good idea. They insist they are safe. They also insist that they are just like normal plants and so there is no need to test their safety. Meanwhile, some European companies have banned them while many others require they be labeled as GMOs. Monsanto and other companies are spending millions to fight Proposition 37 in California. This proposition would require that GMOs be labeled. If GMOs are so safe, why won’t the companies that produce them allow testing? If GMOs are so safe, why do companies want to hide them from us? Additionally, GMO plants are mostly created so that the plant will be resistant to pesticides and weedkillers. So at the very least, these plants will be exposed to more pesticides and weedkillers. The irony is that we are now finding that “superweeds” and hard-to-kill insects are forcing an increase in herbicides on GMO crops. The Great Law of the Iroquois Confederacy says “In our every deliberation, we must consider the impact of our decisions on the next seven generations.” If we were to follow that law today, no scientific progress would occur. But we should take their law into consideration and at least test before we release new discoveries into the world. This is especially a good idea when you are manipulating the genetic material of an organism. Next up in the series – GMOs (Genetically Modified Organisms) & allergies. Today we’re going to look at the role that Vitamin D plays in allergies. I find it ironic that we are now so adamant that everyone stay out of the sun, which is our best source of Vitamin D.
It’s ironic because at the same time we are learning just how important Vitamin D is for us. Vitamin D is especially important for our immune system where it both increases immune activity and helps to modulate it. This modulation helps reduce autoimmune reactions as well as inappropriate immune reactions such as is seen with some allergies. There are theories that the lack of Vitamin D from sunlight during the winter is part of the reason for the increase in colds and flu during winter months. Vitamin D deficiency has also been found in multiple sclerosis, which is an autoimmune disease. It’s encouraging that Vitamin D is now more commonly measured during routine blood work. Ask your doctor about it, if they’re not already testing for Vitamin D.
Next up in the series – What are GMOs (Genetically Modified Organisms)? The theory says that the immune system needs something to do. Without the hand sanitizers, our immune system worked to produce antibodies to all of those ‘germs’ we’re all so afraid of. Now, the system is idle so it begins to create antibodies to more common items, hence food allergies. On some levels, this theory makes sense. And there are a couple of other points you should be aware of. One is that all that hand sanitizing isn’t good for us. It prevents our bodies from developing antibodies to bacteria and viruses. Those antibodies would give us immunity so that upon subsequent exposure, we could fight them off. Second, and more important if you have food allergies, is this: Cleaning your hands with a hand sanitizer will not remove food allergens from your hands. Hand sanitizer may kill the bacteria and viruses, but it doesn’t remove anything from the hand. So when dealing with food allergies, nothing replaces good old soap & water! Next up in the series – vitamin D’s role in allergies. Today’s post is likely to make some of you unhappy. To quote a friend of mine, “You’re not taking away my processed foods.” It’s true that we’re all in love with processed foods. They’re quick, they’re easy, and they’re tasty, right? All of that may be true, but there are some real problems with processed foods. Let’s first define processed, since some might say that frozen green beans are processed. When I talk about processed foods, I’m thinking of all of the prepared foods: your chips, crackers, cookies, cokes, prepared frozen or canned meals. There are often hidden allergens in processed foods, disguised in words like natural flavorings and artificial flavorings – to name just two. They often contain unnatural additives such as MSG, high fructose corn syrup, food dyes, and other additives that are petroleum derivatives. All this does is add to the toxic load I talked about in part 4 of this series. They are lacking in vitamins and minerals. And so rather than having antioxidant effects on the body, they actually contribute to oxidative stress. Yet another way to compromise the immune system. Next up in the series – we’ll look at how hygiene and allergies may be connected. Our homes are sealed up tight to be energy efficient. But that means less fresh air comes in, too. The paint, carpet, wood floors, furniture, etc are all emitting gases from the chemicals in them. Over time, that might diminish, but every new item adds to the load. The cleaners you use in your home are generally made up of all kinds of chemicals. If you live in South Texas, you probably have some sort of pest control. Many of these chemicals are quite toxic. Even your personal care products contribute toxins. Most of your perfumes and fragranced products are made with toxic chemicals. So, what does this have to do with allergies? More than you may know. Anytime you add toxins to the body, they will compromise the body’s various systems. While they may not cause allergies, they can exacerbate the situation. Toxins inhibit activity in our body and could easily confuse the immune system, causing it to consider foods to be allergens. For example, years ago I had a cold. When I went to work, I immediately got much worse. I noticed that when I went outside, I got better. I did some research and found that they had exterminated for pests the night before. Next up in the series – we’ll look at how processed foods impact allergies. Today, we’ll look at the Eczema-Food Allergy theory. I have to admit that this one is confusing because it’s really a chicken/egg question. Here’s how the theory goes: It suggests that children with eczema develop food allergies because of exposure through broken skin as well as through consumption. Statistics show that children with eczema have food allergies at least 33% more than children without eczema. My question: Is there something about the eczema that somehow increase their allergy risk? OR, is eczema one of the ways that food allergies manifest? OR, are both answers yes. We want to simplify everything, but we live in a complex world. Our bodies are complex and still not fully understood. Perhaps one day we’ll have better answers. It is clear that there is a connection. Next up in the series – we’ll explore the role of toxins in allergies. Childhood Allergies – Part 2 – What are Allergies? Before we go into the various theories, I would like to step back and give a short lesson on allergies and immunology. I confess that I’m a total geek about this kind of thing. Immunology was absolutely one of my favorite college courses. But, since most people aren’t biology geeks, I’ll try to keep it a simpler level. If I confuse, be sure to leave a note in the comments and I’ll reply. Let’s start with the Immune System. Your immune system functions to protect you from invading organisms, usually unfriendly bacteria, viruses, fungi, and parasites. 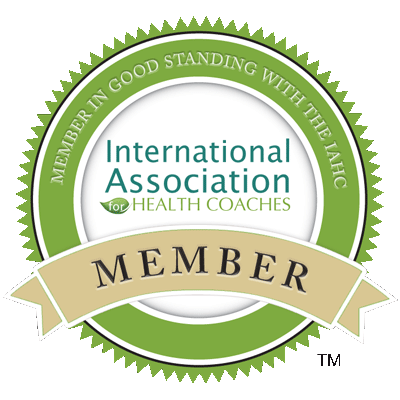 The immune system is generally a good thing, as it serves to keep us healthy. The immune system is complex. It starts with the skin which usually acts as a physical barrier and extends to various cells that act in our defense. A function of the lymphocytes, one of the cell types, is to produce immunoglobulins. 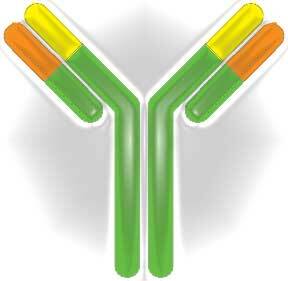 Immunoglobulins, commonly known as antibodies, are protein molecules. They are produced in response to a particular antigen – typically a protein that is part of an invading organism. There are a number of types of immunoglobulins typically IgA, IgG, and IgE. The image at the top of this post is representative of the basic shape of an immunoglobulin or antibody; although I added a bit of color to it. The IgE antibody is the one generally associated with allergies. So, if our immune system produces antibodies to invading organisms, what is an allergy? After all, an allergy is a reaction by the immune system. An allergy occurs when our immune system has an abnormal reaction to a generally harmless substance – such as food, pollen, pet hair, etc. Your first exposure to any potential antigen does not usually cause a noticeable reaction. Typically, your first exposure is what activates the immune system. It thinks it has found an antigen and produces the antibodies. On subsequent exposure, the antigen will bind to the cells containing the antibody and that is when you will see an allergic reaction. It isn’t always the second exposure that results in an allergic reaction. An allergy can develop at a later time. This production of IgE antibodies – the allergic reaction – is what makes an allergy separate from a sensitivity. Next up in the series – we’ll explore the eczema – food allergy connection.